The Brookfield Chamber of Commerce is excited to announce this year’s Best of Brookfield, which will take place on Wednesday, October 17, 2018 at The Candlewood Inn, Brookfield from 4:30 – 7:30 pm. As always, the Best of Brookfield is an excellent opportunity for all types of businesses and organizations to showcase their products and services to each other and the community. As a signature event for the Chamber of Commerce and our vendors who support the night, we are going to charge a $5.00 entrance fee for attendees. We have limited space so we are asking that you reserve your spot as quickly as possible. Please register online or contact the chamber for space reservations or sponsorships. 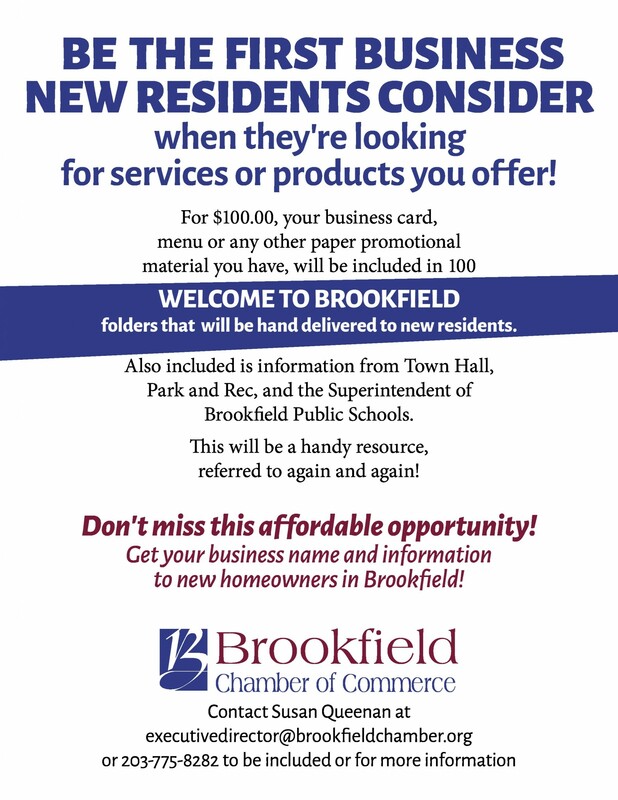 Thank you in advance for helping to make the Best of Brookfield a huge success!